Companies are facing rapid, disruptive and innovative change. Capto is helping healthcare, financial and media, telecom and entertainment industries create and grow opportunity. 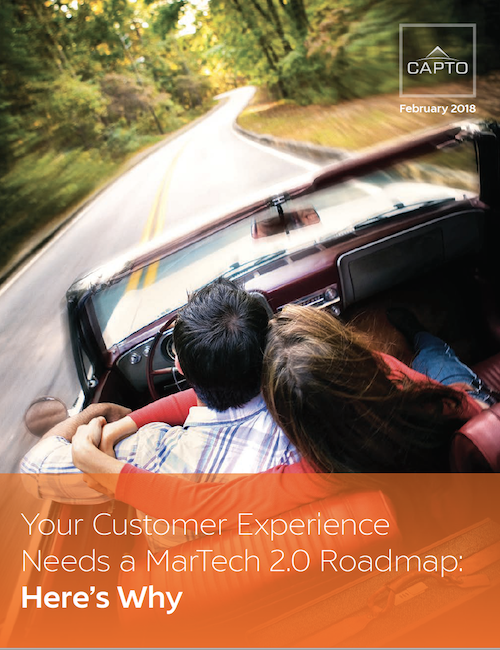 Your Customer Experience Needs a Technology Roadmap. Five Reasons Why. To create a seamless customer experience online and offline, it takes a disciplined approach to implement the right mix of marketing and enterprise technology. It's no secret that the Chief Marketing Officer is quickly owning the majority of the IT and data analytics budget. Siloes serve no one. Read more about why collaboration is crucial to both C-level executives' success. The strategy-to-execution gap is widely known, but why does it happen? And when the chasm opens, how do organizations close the gap to deliver key strategies effectively? This paper discusses why the gap occurs and how to better align execution to strategy with speed and accuracy using external resources.